Take your baked cupcake and smear frosting on top. Add your sprinkles. 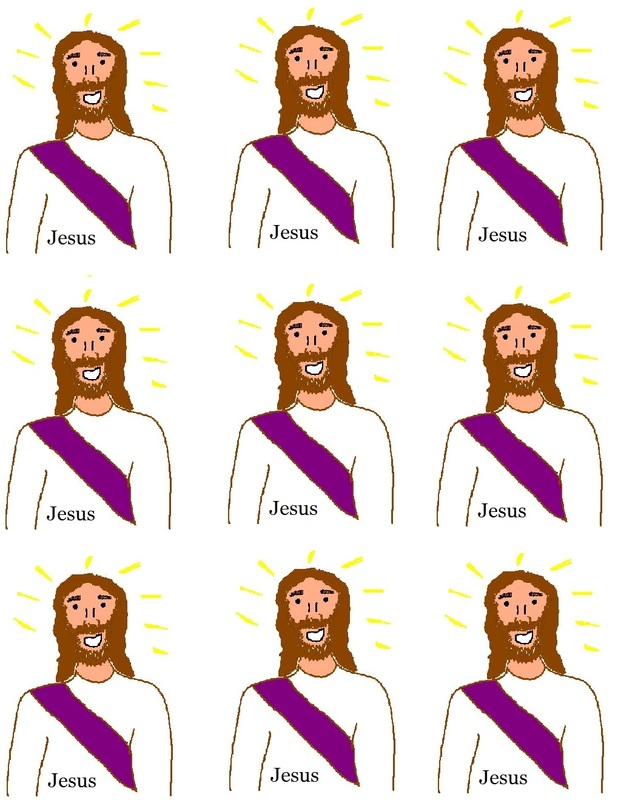 Print the Jesus template off and cut it out. Tape to a toothpick and stick down into cupcake. Now you can take it to children's church or Sunday school. These make great snacks for the kids. They get so excited over cupcakes. These are just a basic cupcake with sprinkles. When teaching childrens church and Sunday school I have to find things that are simple enough to put together and I have found that kids really love the bible cupcakes. It does not take a skilled person to make them and that is what I like about them. Teach the kids a lesson on Jesus to go with these Jesus cupcakes.